This stretch of the South Platte River has been a popular fishing spot for decades, earning it Gold Medal Waters status by the Colorado Wildlife Commission. In the 1890s, Stephen Decker built a general store and later a saloon in this area. The South Platte Hotel, located at the confluence of the North Fork of the South Platte, was a popular resort in the early 1900s and was accessible only by train. The confluence is now a popular fishing and kayaking area. Cheesman Canyon to Strontia Springs: From Cheesman Reservoir (elevation 6,800 feet), the South Platte River descends 6 miles through Cheesman Canyon to Deckers, a world-renowned fly fishing area. The river then bends north for about 17 miles to the confluence with the North Fork of the South Platte (elevation 6,100 feet). Buffalo Creek to confluence: The North Fork flows approximately 10 miles east from Buffalo Creek (elevation 6,600 feet) to the confluence. From the confluence, the river flows east to Strontia Springs Reservoir above Waterton Canyon at an elevation of 6,000 feet. 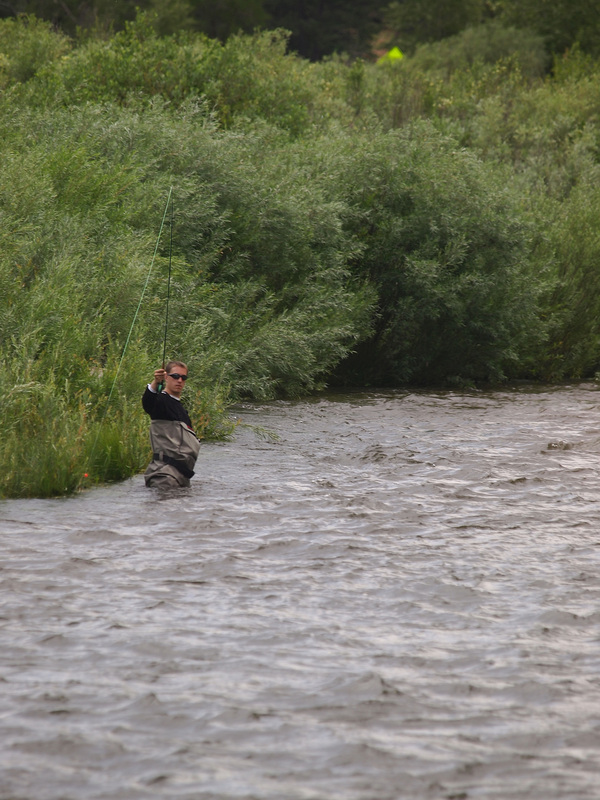 Fishing: The fishery is managed by Colorado Parks and Wildlife. 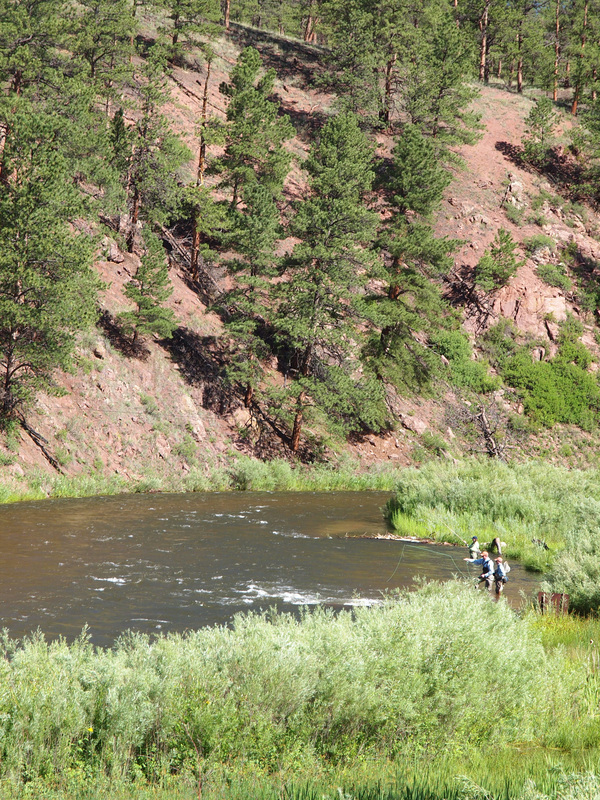 In Cheesman Canyon, 3 miles below Cheesman Dam, are Gold Medal Waters (catch and release only). From Deckers to confluence, the river winds through private and public lands, but 14 miles are accessible to the public. Check streamflows: Trouts Fly Fishing and Blue Quill Angler. Hiking and biking: Check Jeffco Open Space for directions and trail maps. 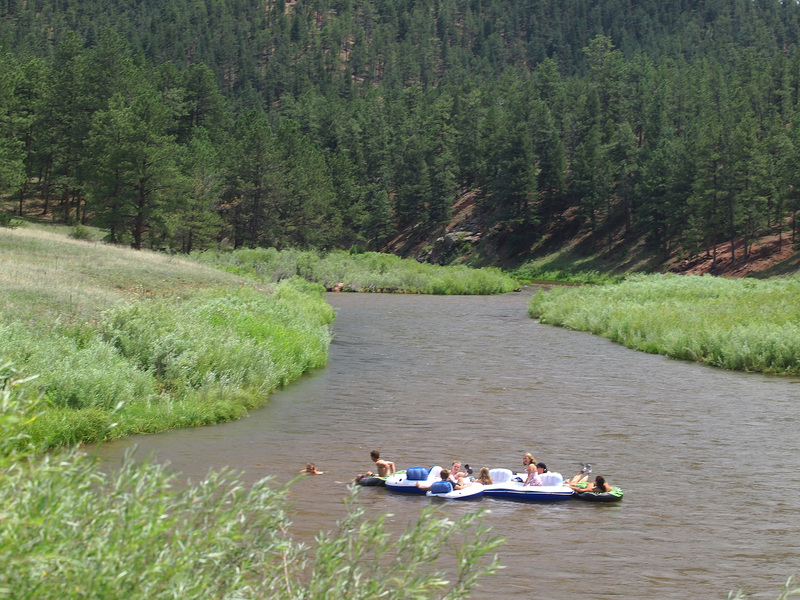 Portable crafts: Kayaks, canoes and inflatable crafts are allowed along the South Platte River. Kayaking is available on the North Fork but canoeing and inflatable crafts are not advised. Check river flows for kayakers. 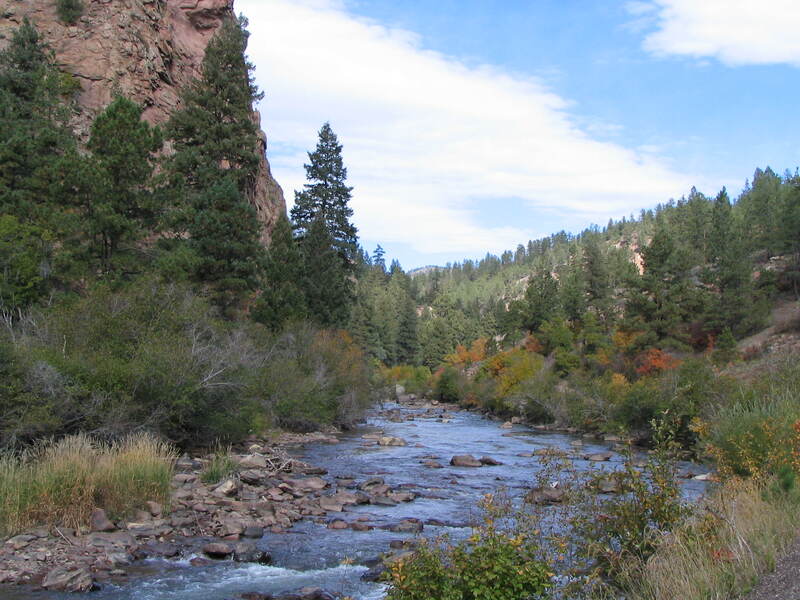 Camping and picnicking: Sites are provided along the South Platte River by the USFS Pike National Forest. From Denver: Take U.S. Highway 285 to Pine Junction. Drive south on Jefferson County Road 126 for about 25 miles to Douglas County 67 at Deckers. From Sedalia: Take U.S. 67 from Sedalia to Sprucewood. Stay on 67 south until you reach pavement at the South Platte River. Go 6 miles south on Douglas County 67 to Deckers. Parking is permitted only in posted areas. A fee is required at designated sites. All commercial activity requires a permit. No shooting, except for legal hunting. Please respect private property along the river corridor. Note: Watercraft may pass through private property but are not allowed to stop on private property. Day use only between Pine Creek Road and Buffalo Creek, and along Sugar Creek Road (sunrise to sunset). Camping is permitted only in campgrounds with posted signs (fee required). Fires are permitted only at campgrounds in provided metal fire rings. Portable stoves are acceptable anywhere. Year round, for river and designated parking. Day use area between Pine Creek Road and Buffalo Creek, sunrise to sunset. No overnight activities allowed. Denver Water: 303-893-2444 or Customer Care Contact Form.